I was diagnosed with PTSD ten years ago. I had never heard of it, but 2 doctors diagnosed me with it. My symptoms were extreme paranoia, insomnia, horrible dreams, hyperviligence, panic attacks, severe depression, and suicididal thoughts. I NEVER had flashbacks though. I had a few times while talking I would dissociate and my consious would float to another part of the room and I could see myself from another area. Those were after the traumas. There are some memories that I don't seem to remember from the traumas. I seem to have these dissociative events rarely, but up to a year ago. A month ago I had a flashback (sort of, just her voice) of my mothers voice, I think from when I was younger, and I fainted after. I do not remember any trauma with my mother, or any trauma about the last person I was talking about when I had a dissociative event. Is it possible that after a year of talk therapy and meds, that my PTSD was not treated, and maybe it still is there? I kind of was thinking they misdiagnosed me. My only symptoms left is I have panic attacks through the years, kind of regularly, and the other things I wrote. Once in a blue moon I'll feel a fraction of the depression. Even though I did have a couple traumas, I was wondering if I had depressive disorder and panic disorder, maybe they diagnosed me wrong. 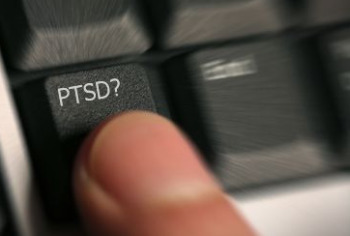 Is it possible to have PTSD and not have flashbacks?